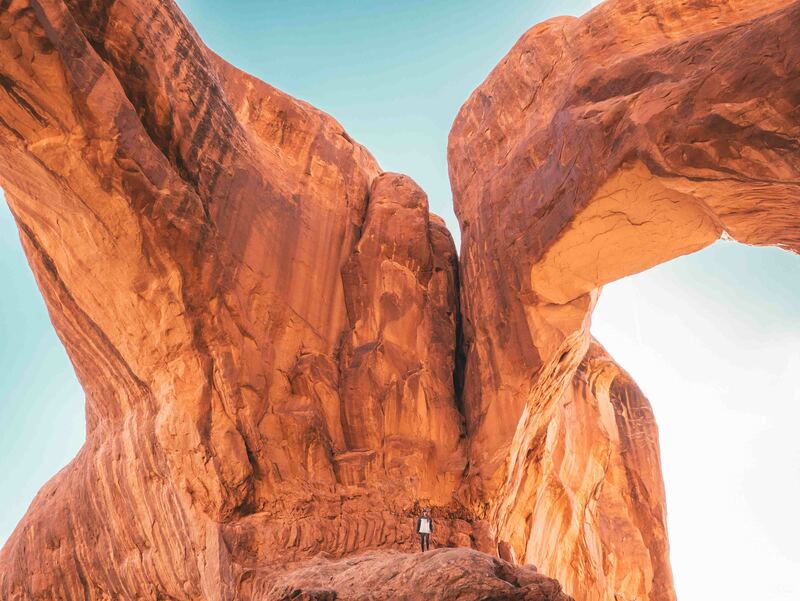 Utah is home to some of the most unique and spectacular terrain in America, and some of the biggest attractions are only accessible to those who are willing to lace up their hiking boots and hit the trails. The landscape in Utah is dominated by canyons, mountains, deserts, and forests that were carved by volcanoes, rivers, glaciers, and earthquakes. Most of this diverse environment is protected by national and state parks where you can enjoy nature while hiking the countless miles of trails among rock outcroppings, waterfalls, arches, and canyons. Here’s a list of the best hiking trails in Utah that you can’t miss. The Delicate Arch is one of the most photographed sites in Utah. 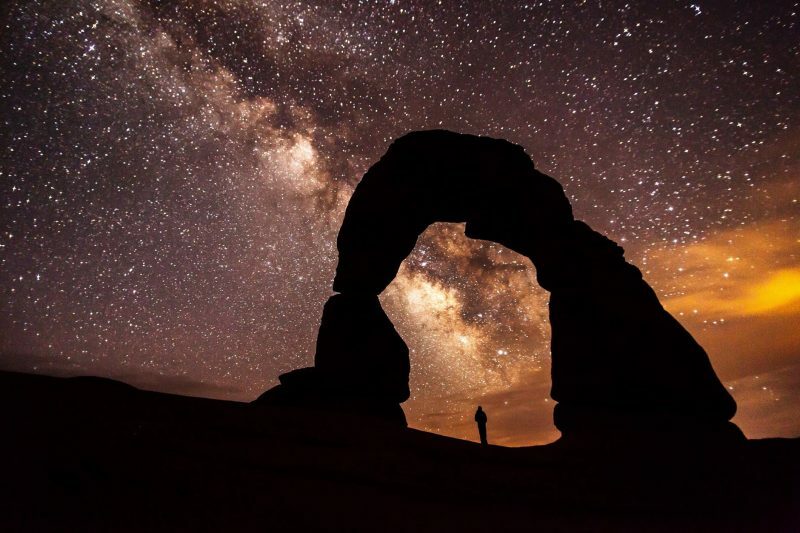 It’s located in the Arches National Park near the town of Moab. This gigantic natural sculpture can be reached only on a relatively easy three-mile round-trip hike. The length of the trail won’t take all your energy, but you should be careful on the stony terrain. The route runs up a gradual rise across open Slickrock and is in full sun almost the entire way. Delicate Arch is unique among the other 2000 arches in the park. 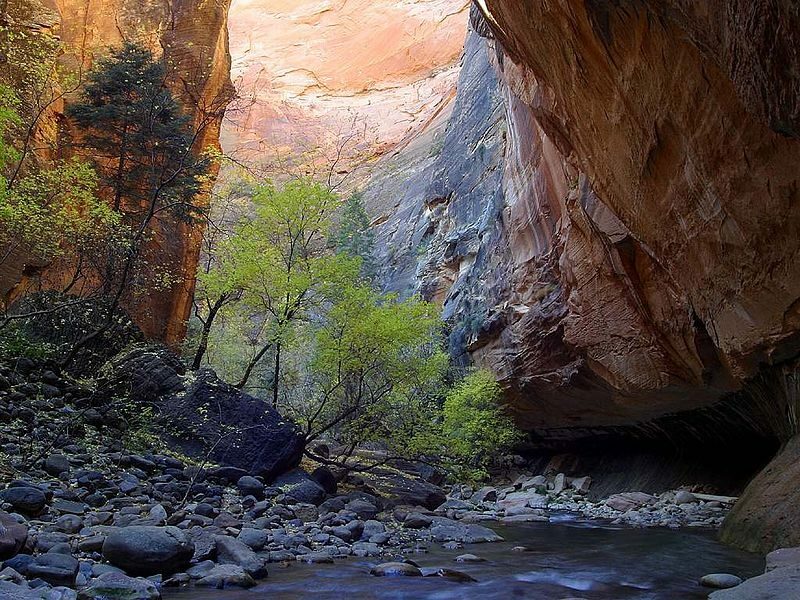 Zion National Park is famous for its many hiking trails, yet Narrows is the one that outstands from the rest. A wet trek up the Virgin River leads through the park’s most important feature, a huge slot canyon, known as The Narrows. The challenging part of the hike is when hikers literally walk up the river in the canyon that narrows as you hike up. The curving and twisting canyon walls look like high-fashion dresses. The Narrows hike is a seasonal one because it depends on the water level in the canyon. Canyonlands National Park has impressive hiking trails, but they are the least promoted among all that Utah hiking society. This trail offers a variety of mixed landscape including fire-red stone spires, shorter red-stone pedestals capped with white mushroom-shaped tops and open areas where you can spot some of the local vegetation. 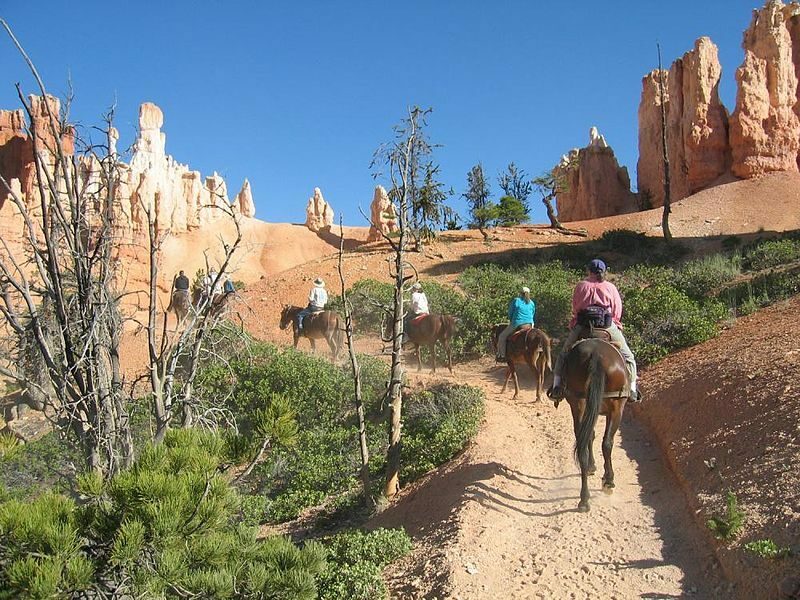 Chesler Park is in the Needles district, south of the more visited Sky District which means that this trail is never too crowded and you can enjoy it for yourself. 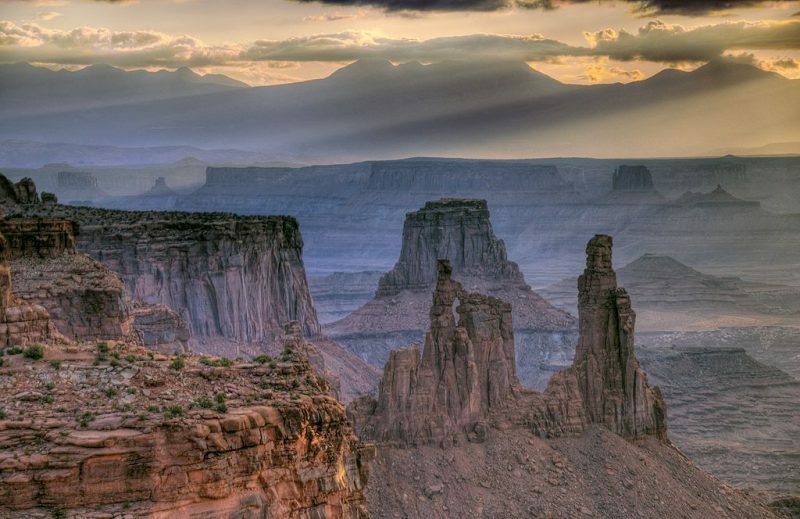 Canyonlands National Park is one of the most challenging parks in Utah because of the many miles of hiking trails suitable for all hiking levels. The main feature of the park is Mesa Arch, which is actually the only trail that people know about ( except, of course, the local professional hikers). Mesa Arch Trail is not that much about the walking, but about the finish point, you’ll get to enjoy on the end of the hike. Mesa Arch stands over Buck Canyon and frames the dramatic cliff walls, stone spires, and carved landscape in the distance. 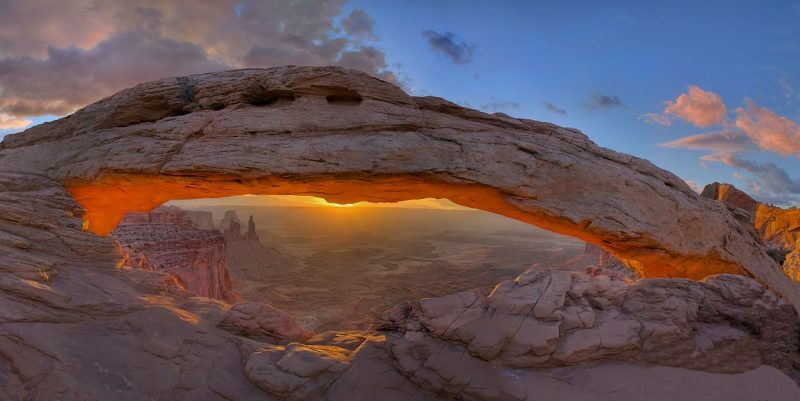 The best time to visit Mesa Arch is at sunrise to see the light show displayed from the first sunbeams. Don’t be lazy, wake up early and hike to the arch if you want to make some epic pictures. Fairyland Loop is another incredible hiking trail. The 8-mile loop goes through ridges and canyons and it winds through towering hoodoos that have a unique orange cream glow. The colorful China Wall and the Tower Bridge are other attractions you can see on the trail. The trail is never too crowded, so it’s a perfect choice for the ones who don’t like to see too many people around. Good luck! If you have a good story to tell or blog, let us know about it on our FB page; we’re also happy for article or review submissions, we’d love to hear from you.